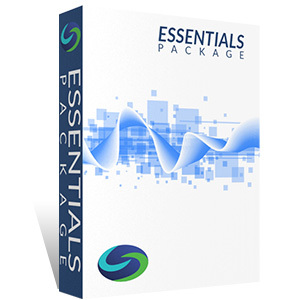 The Series 52 Essentials Study Package comes with Solomon's bestselling Exam Study Guide and industry-leading Online Exam Simulator to facilitate learning and knowledge retention. The MSRB Series 52 Municipal Securities Representative Qualification Examination requires a high standard of knowledge and competency. 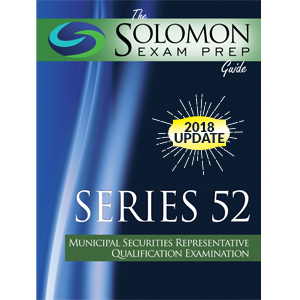 The Solomon Exam Prep Guide to the Series 52 Top-off, 1st Edition will help you tackle the Series 52 exam by focusing on the most important and difficult concepts of the exam, such as MSRB rules, BABs, VRDOs, municipal securities trading and SIPC. 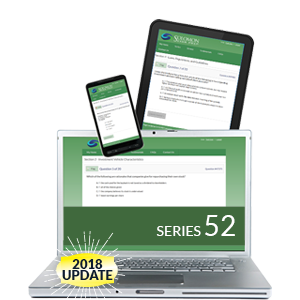 The Series 52 Online Exam Simulator is the industry-leading, online testing solution for the Series 52—MSRB Municipal Securities Representative Qualification Examination! The web-based program provides multiple ways to prepare for the Series 52 exam. Love Solomon, I tried other companies and the ones I used didn't prepare me. Solomon teaches you the concepts and the practice tests helped me pass my Series 65, 63, and the 6 on my first try. I've had no less than four of my friends use Solomon and they have all had similar success. Work hard with the correct study material and you will have success.